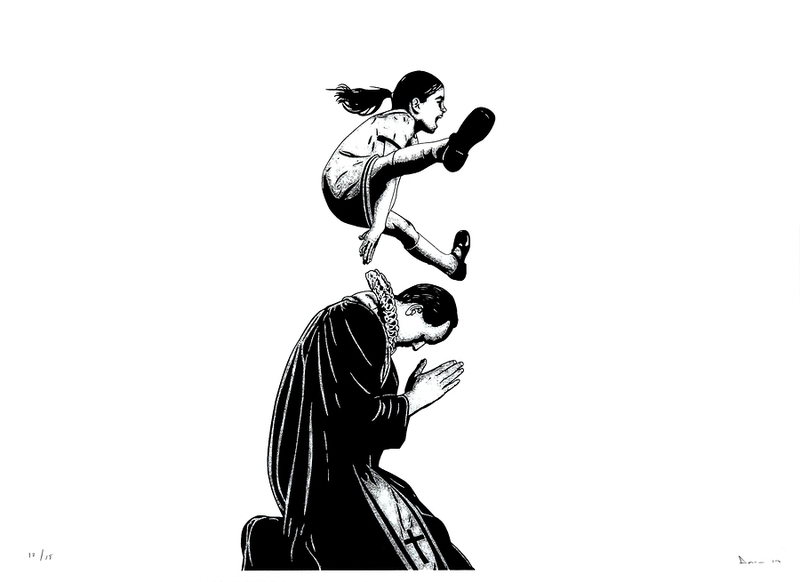 "Leap" features a small girl leap-frogging over a member of the priesthood. Dolk has cleverly replaced the child’s father with a "Father" of the church and the title suggests a play on the term "leap of faith". Dolk’s work is often open to interpretation - frequently political - and there have been suggestions that this piece is a social commentary on the Church and child abuse.